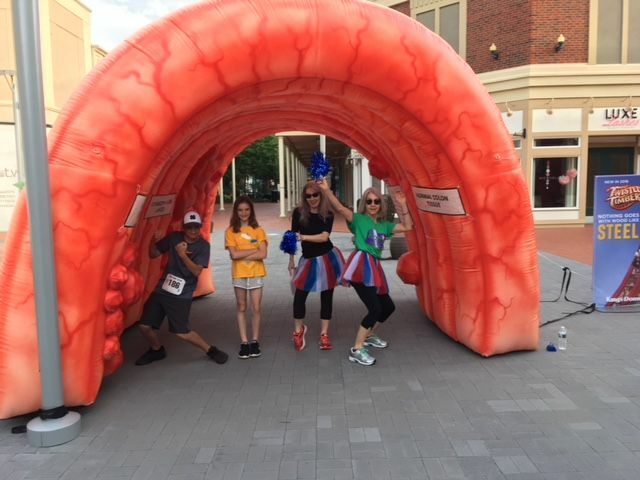 Thanks to the Prevent Cancer Foundation grant, HCB2 was able to purchase an inflatable colon to assist with our work in offering education about colorectal cancer and early detection. 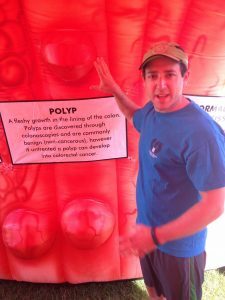 The 10 foot Colon is an entertaining, educational tool perfect for school, community and corporate health fairs. We are ready to be invited to your next health event! 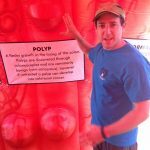 Why do we think the inflatable colon is the coolest educational aid? Well, colon and rectal (colorectal) cancer is not easy to discuss. We at HCB2 talk about stool, constipation, gas, polyps, gut health, and more every day, but the average community member may not be comfortable discussing their private bathrooms habits. 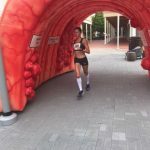 With colorectal cancer being the second deadliest cancer in men and women in our nation, and rising among those under 50 years of age, we have to break through the silence of GI issues – we believe potty time can no longer be private time! So, let us help break the silence and have a little fun strolling through our colon. The HCB2 crew will set up, take down, and offer staff to present materials and information about colorectal cancer prevention. We promise the appearance of the Colon will offer many laughs, some serious myth busting conversations, and maybe a few lives will be saved. Together, we truly can work to create a community without cancer. 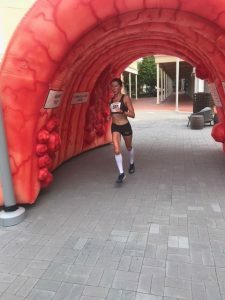 Contact us at info@hcb2.org to learn more about HCB2‘s inflatable colon or use the link here http://hcb2.org/inflatable-colon-request/ to request the Colon at your next event. There is no charge for our appearance; however, a donation to HCB2 of any amount is always welcome! ← “Can We Talk” Breaking the silence about colorectal cancer.